We’ve been hearing a lot lately from folks who have seen the new documentary Root Cause and are wondering about their own root canal teeth or sharing what happened to their health after root canal treatment. Many are learning about biological dentistry for the first time – its focus on supporting whole body heath through oral health. After all, as the German physician Dr. Reinhold Voll noted, up to 90% of all health problems may be linked to conditions in the mouth. The presence of root canal teeth can be one of those conditions. Conventional dentists often recommend root canal treatment when a tooth is deeply decayed or otherwise damaged. The idea is to “save” the tooth, but they do so by removing all of the living tissue inside the tooth’s pulp chamber – blood vessels, nerves, the works. The pulp chamber is then disinfected, filled, and protected with a restoration on top. The tooth may look fine and function well. The patient may be out of pain. However, it is no longer a living organ. Its internal vascular system is gone. Any bacteria remaining in the tooth is effectively locked in. And some bacteria usually remains behind – deep in the miles of microscopic tubules that form the dentin situated between enamel and pulp, or in the tooth roots themselves if they’re particularly complex. The usual disinfection methods aren’t really able to thoroughly clean these areas. Whether they do or don’t depends on the individual. A healthy person may be able to tolerate a root canal tooth for many years without incident, while others may have health burdens that leave them more vulnerable. So the answer after seeing a film such as Root Cause isn’t to rush out and demand that all your root canal teeth be removed. The first thing to do is to consult with a biological dentist for a proper evaluation. In addition to the usual x-rays and oral exam, this may also include measures such as a very detailed review of your oral-systemic health history or energetic testing. If the root canal teeth are found to be a source of infection, the next step is typically to have them surgically removed. If chronic illness is a factor, customized “pretox” and detox protocols may be recommended, as well. Having the extraction(s) done or overseen by a biological dentist (some biological dentists refer out complex cases to surgeons with whom they work closely) can also help prevent another problem mentioned in the film: the formation of cavitations at the surgical site. As for replacing the extracted tooth or teeth, there are three main options available: bridge, partial, or implant. Each has their benefits and drawbacks, which you can learn more about here. 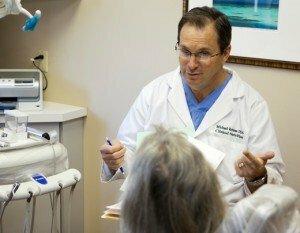 If you are outside the St. Louis area or are unable to travel to see Dr. Rehme for a consultation, there are several good resources available online to help you find a biological dentist closer to home. Both the International Academy of Oral Medicine and Toxicology and the International Academy of Biological Dentistry and Medicine have searchable directories of their members, with links to dentists’ websites so you can learn more about them and the services they offer. Do you except delta ppo ? I had a root canal about 3 months ago. I had a hearing lost before the surgery. But after the surgery I lost complete hearing. Just went to the ear doctor the lab discover I have bacteria in the ear. I was put on amoxicillin for 10 days. I just as for another culture because my ear still don’t feel right now I will find something by Friday. We’re so sorry to hear you’re experiencing this, Mattie! While we are not preferred providers for any insurance, we do submit claims for our patients to all insurance companies. Although we expect payment at the time of service, if you have dental insurance, we’ll submit your claims for reimbursement to you. We will submit your claim in a timely fashion (most often electronically and on the date of service). You can learn more about our office policies and procedures here: https://toothbody.com/new-patients/. Or just give our front desk a call at (314) 997-2550. They can answer all of your questions.